32 Plaza Central is a modern and spacious two-bedroom, two-bathroom apartment located in Plaza Central that will have you looking onto to the majestic ocean for hours. The kitchen is fully equipped with top-of-the-line appliances, and the living room features a cozy couch, a TV, and immediate access to the terrace. 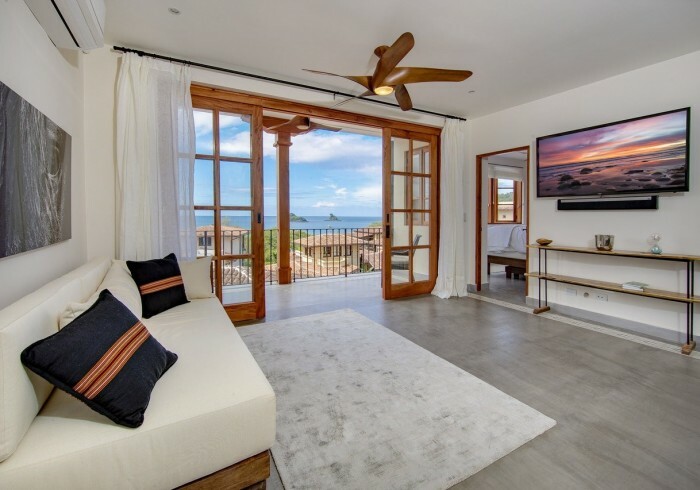 The master bedroom features a private bathroom, a walk-in closet, and a king size bed strategically elevated to have you waking up to flawless ocean views every morning. The guest bedroom features a king-bed and a trundle for any last-minute guests. Our Concierge Team will assist you in coordinating travel activities, including transportation from the airport, car rentals, spa treatments, and tours. We can even go grocery shopping for you! Safety is paramount to us at Las Catalinas, so we offer 24-hour security. For special occasions, ask about our Gourmet Chefs, who will prepare exquisite meals in the comfort of your apartment. Concierge service, and beach club access are included. Our goal is to provide a stress-free environment so that, with everything else taken care of, you are free to relax, recharge, and explore!